Wear a little love around your neck! 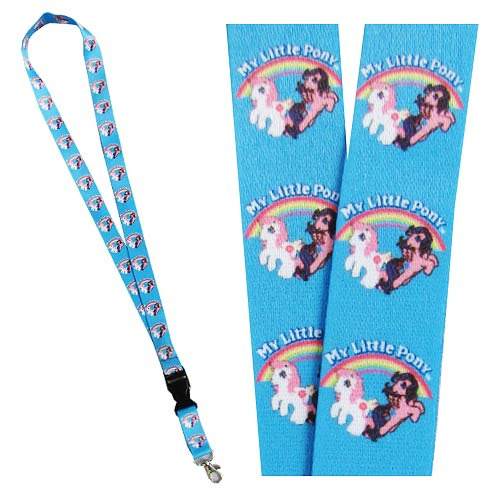 This My Little Pony Classic Rainbow Lanyard Key Chain is ideal for clipping to keys, ID cards, or to simply wear it to show your love for My Little Pony. Featuring the repeating image of Sundance and Firefly from the original line, this is a great gift for fans! Lanyard measures 17-inches long and 22-inches long with clip. Ages 12 and up.